I am a stay-at-home wife and mom of the most ah-dorable three littles. I LOVE spending time with my family and my friends! I view Disney as a way of life. Most of all, I love to laugh. Life without laughter would be a boring existence. CRAZIEST THING EVER DONE: Ran with the bulls...just kidding, I'm not that adventurous. GOOD AT: Going to Disney World and laughing. WORST HOUSEHOLD CHORE: Dishes...seriously can someone come do them for me? 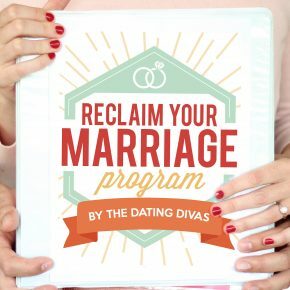 Divorce-Proof Your Marriage in Just 10 Weeks! Let's face it ... sometimes, marriage is just plain hard! Life throws some serious curve balls at us, and they can really seem to put a kink in our "happily ever after!" When that happens, what do you do? How do you keep your marriage on track? When you feel like your marriage is in a rut, how do you dig it out and make it new again? Well, as always, the Divas have you covered!